My cat Moxie is more than a member of the family, she is, the boss of the family. Recently my daughter brought over some boxes from her apartment for me to recycle. She left them in the living room. 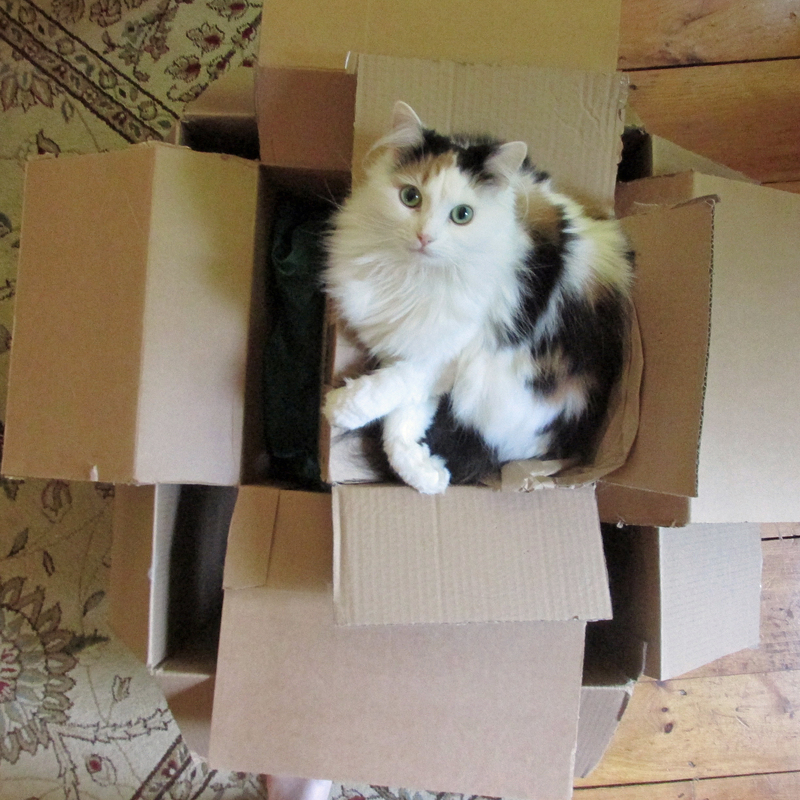 Moxie found the boxes. That was a month ago. 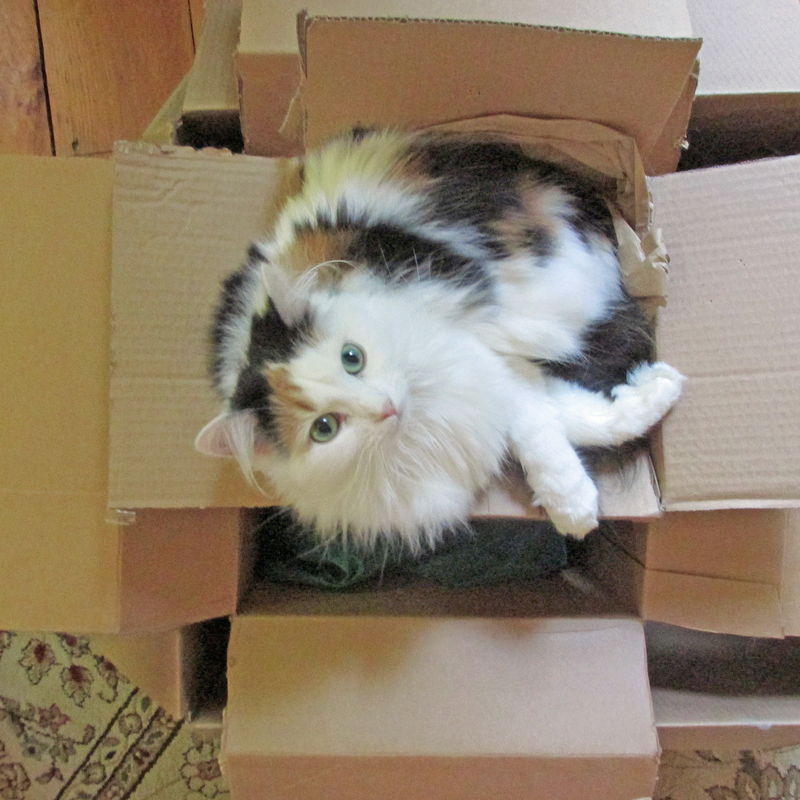 The boxes are still in my living room, usually with Moxie somewhere in the stack of boxes. My husband, who claims Moxie is his “Executive Assistant”, will not let me move “Moxie’s castle.” I think he’s just too cheap to buy her a fancy nice cat tower from the pet store. Not only do we have boxes in the living room, the sofa has a dent in it forever from the dog sitting there looking out the window. Pets are why we can’t have nice things. I point out that a pile of boxes does nothing for the decor of my living room. My husband points out that Martha Stewart is not coming to visit anytime soon, and to leave the boxes alone as the cat likes it. If Martha does show up, Mark said I can move the boxes to the laundry room, and then move them back after Martha leaves. Good looking stray in ugly boxes. She’s happy. So, who knows how long these boxes will be in my living room. Moxie not only sits and sleeps in the small box on top, she hides in the other layers popping up from under the flaps and scaring anyone walking by. 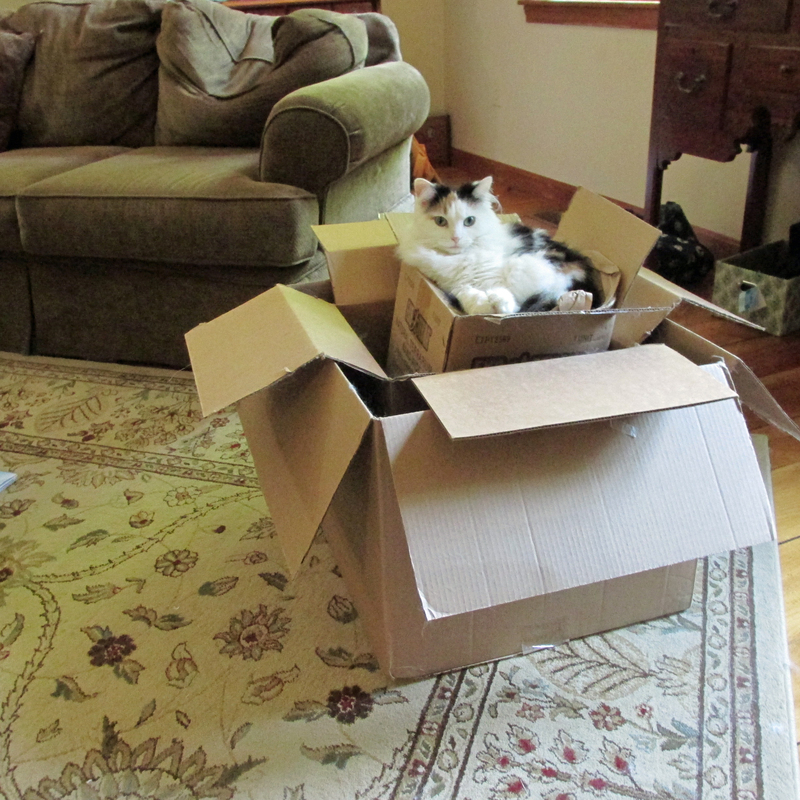 As long as Moxie is enjoying the boxes, and she seems to not be even slightly bored of them yet, the boxes will remain in the living room. don’t ask about the fur in the ears…maybe because she is a stray from New Hampshire?